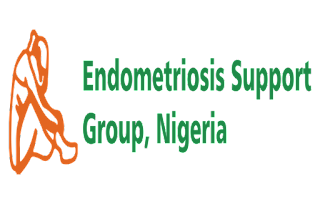 Endometriosis Support Group Nigeria (ESGN) has said it would be partnering with the private and public sectors to reduce the ignorance around the invisible condition called Endometriosis as it severely affects the quality of life of sufferers, including all forms of meaningful relationships. Endometriosis is a condition in which tissue that normally lines the uterus – the endometrium – grows outside the uterus, typically on the ovaries, fallopian tubes, intestines or other areas in the pelvis. It is a common cause of infertility. Dr. Abayomi Ajayi, the Founder, ESGN disclosed this at a press conference the group organised in Lagos recently, to announce its programme of activities for 2018. Ajayi said, “It gives me pleasure to announce our programme of events for the year 2018. This year we are going to make significant inroads to expand the awareness level of this condition among people across the country. He explained that endometriosis is a debilitating condition which affects one in 10 women and characterised by late diagnosis as most physicians tend to miss it. “With all that we know today, we are bringing a message of hope to sufferers, new technologies and treatments are becoming available to manage the condition. “On March 10, 2018, we will have our annual Endo March. A walk to drive awareness about the condition in the city of Lagos. We will commence at 7 a.m. from City Mall, Onikan through Awolowo Road to Muri Okunola Park. “We are happy to announce that Diamond Woman who have traditionally supported us during the past four years is again playing a role in ensuring the success of the walk. Every year, we try to ensure that our Lagos Endo March is celebrated in commemoration of the International Women’s day,” he stated. Ajayi said his group would be partnering with the German Endometriosis Scientific Research Foundation to help increase awareness among medical practitioners about advancements in the management of endometriosis. “A special edition of the Physicians Round Table will hold on Thursday April, 2018 at the Civic Centre. The Physicians Round Table (PRT) is Nordica’s annual medical conference usually in the month of March and dedicated to Endometriosis. “Other activities lined up include ‘Our Secondary Schools Essay Competition’. This year’s edition is the second we are holding. We have invited twice the number of schools that participated in the competition last year. “Winners of the essay competition will be awarded a cash prize and plaque at our Endo Gala slated for April 14, 2018 at the Civic Centre, Lagos. “Another interesting event slated for this year’s activities is the ESGN Picture Contest. This is the first time we will be introducing this to our scope of activities. The winner of this contest will become an ambassador for ESGN from the date of being crowned till our next year’s event,” Dr. Ajayi added. He implored all Nigerians to join their social media campaign on Instagram, twitter and Facebook to lend a hand of support.